You must log 1,600 hours behind the chair to be eligible to take the CA State Board exam for cosmetology licensure. You simply can’t do that if you rely only on school time. If you want to get better at it, you need to practice and hone your craft. The more you cut and color, the more comfortable and better you will become at all the tasks of the trade. Besides focusing skills like the Sassoon’s ABC methodology of styling, cutting and coloring, you’ll also learn a lot about customer service and business management. How is the salon run? Who does what? What do they do well? What might you do better? You can watch countless videos and demonstrations on how to cut, color and perfect a style, but there’s nothing like doing it yourself and having people there to offer in-person critique. When it’s your very first job out of cosmetology school, your resume may seem a little thin. That’s why real-world experience does a lot to add to your credentials. List your licensing info and where you went to school, but there are other items to include on your cosmetology resume. And nothing fits it better than real-world experience! When you work in a salon, you see how to do things first hand and you can also use your work to boost your personal portfolio. Maybe you have been shadowing one of the salon’s top colorists and today you’re going to take color a client’s extensions. This is a great skill to document and add to your portfolio. Use before and after shots to show how you transformed your client’s look. With every cut, color, blow-dry or treatment you do, remember to use your time with your client to sell yourself. Always get their information and keep in touch. You never know where a conversation may lead- a possible job-offer or a client for life. Get your name out there early on and use social media platforms like Instagram and Facebook to showcase work and keep your new clients up-to-date with your successes. If you want real salon experience, get in a real salon! A salon externship is the best way to practice your skills, develop your art, and learn the business. 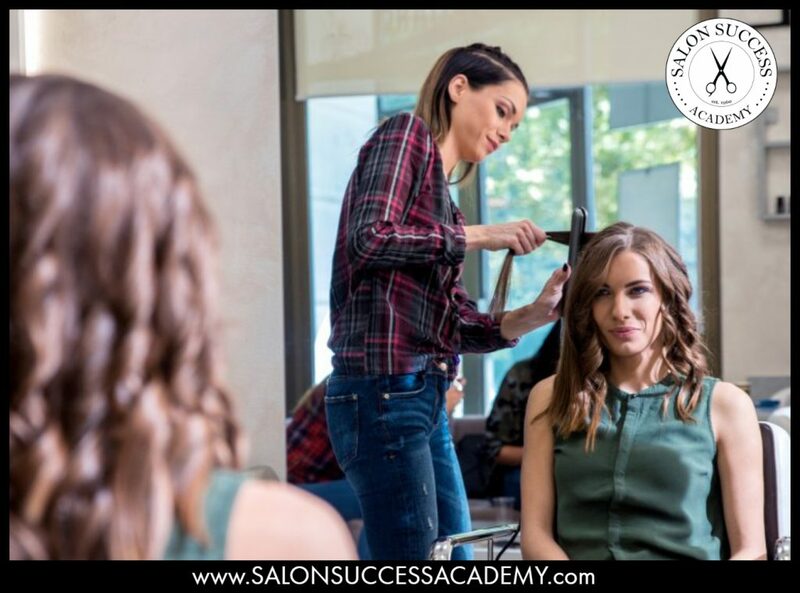 At Salon Success Academy, you’ll also get real world experience in our school salons. Turn your passion into a lifelong, rewarding career. Call 1-877-987-HAIR today!